Alex is one of my very favorite artists! Not only is she a “textile art jack-of-all-trades,” she’s also one heck of a beachcomber. Take a look at her newest stash! ~Amazing! I’d heard about the beach at Seaham in County Durham being an amazing place for sea glass and after googling some pictures and drooling heavily, I persuaded the family to take a run up the A1 a few days ago, as it was half term, to make a visit. There was a glass factory at Seaham from the middle of the 1800s to the early part of the twentieth century and with true Victorian disregard for the environment, at the end of the day, the glass waste was poured into the sea. 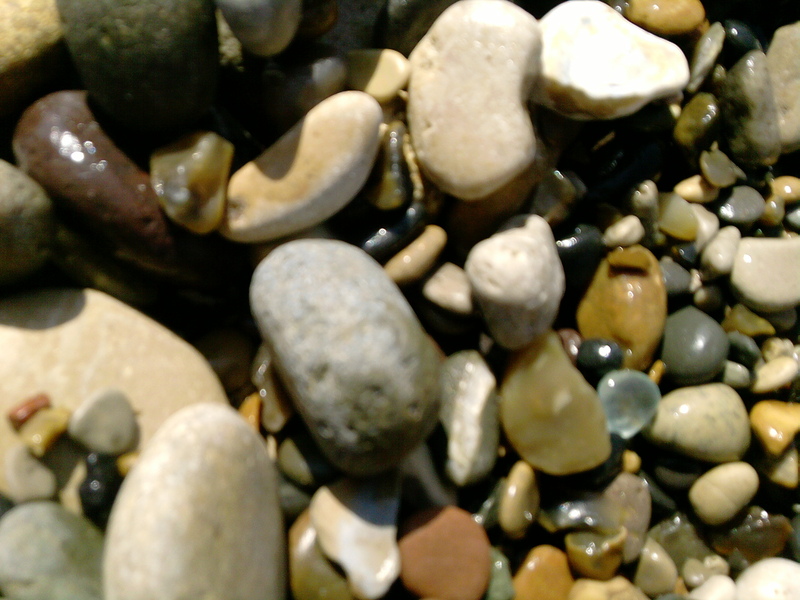 The resulting glass, tumbled and frosted by the waves, comes up as little nuggets on the beach. This entry was posted on June 3, 2013 at 6:30 AM	and is filed under Beach Treasures - Beachcombing, Beaches of Great Britain and Ireland. Tagged: beach, beachcombing, collecting sea glass, County Durham beachcombing, Seaham England. You can follow any responses to this entry through the RSS 2.0 feed. You can leave a response, or trackback from your own site. Yay! How cool is that? Do you know the source of all the glass and pottery shards? We’re year round beachcombers too! We love having the beaches (and beach treasures) all to ourselves. Sadly, I’ve heard. My hubby was also in the Navy. I’m hoping that has changed. Me too Was he in the 6th fleet? Wow, what a fabulous collection! Awwwww… Jill, how kind of you. I’m honored by your nomination! Many, many thanks to you too! Thanks much! Glad you liked it!